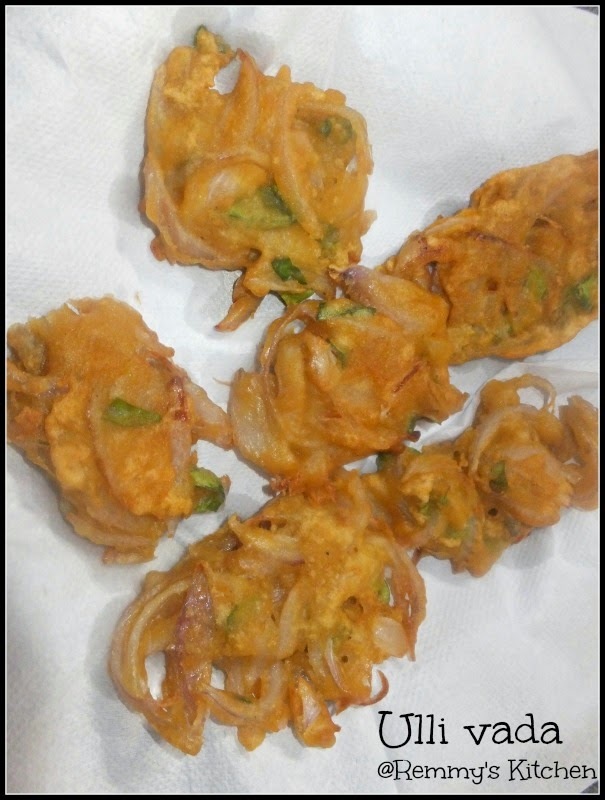 Ullivada , one of my favoutite snacks is a spicy dish with mild sweetness.Different recipes are available to prepare ulli vada.My dad used to buy it (yea maida ullivada) for us during our childhood days! Mix all the ingredents except oil and sliced onion. Make it in a thick batter by adding little water. Heat a pan with oil.Take one table spoon of onion batter / or shape it with hand and drop carefully to the oil. Fry it well till it turn golden brown. yumm snack. too delicious ..
these fritters look so tempting. 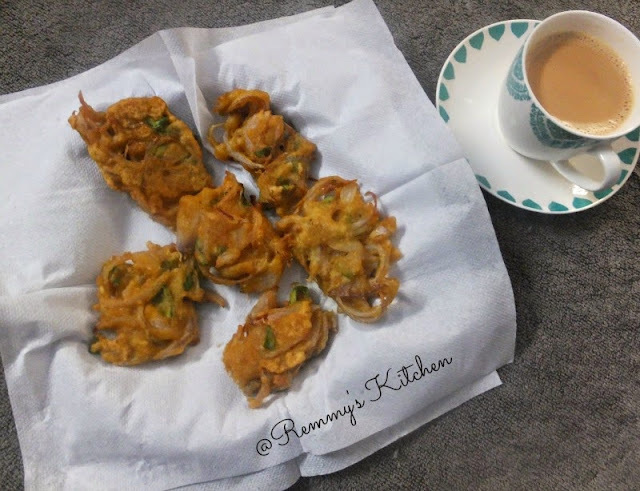 crispy vada.. love it with coffee..